We love this idea! 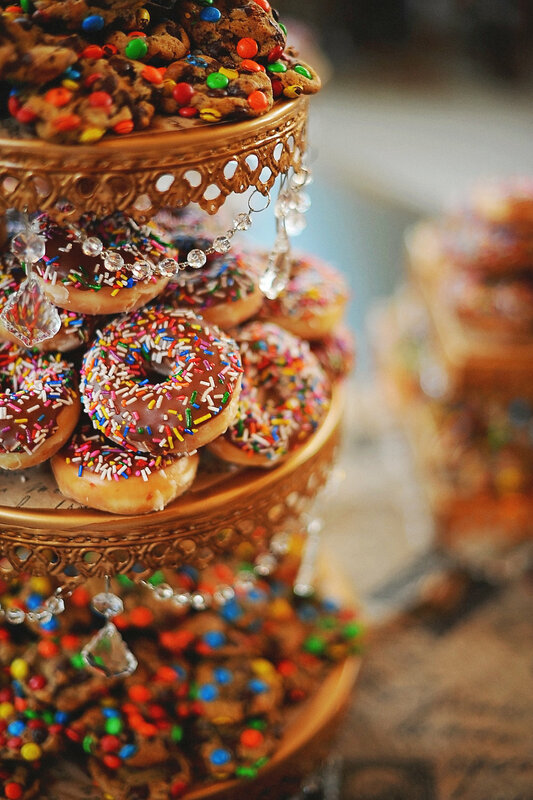 Cake stands for storage? YES! Houzz has hand-picked Opulent Treasures to be featured in an editorial ideabook on the homepage of Houzz. In case you haven't heard, Houzz is the new way to design your home. You can browse 15 million interior design photos, home decor, decorating ideas and home professionals online. You can find so much inspiration... all year round! Now, let's take a look at some of our gorgeous tiered cake stands created by Opulent Treasures to make everything a little prettier! Ballerina Party Favors... Nail Polish & Tutus!! Chandelier 3 Tiered Dessert Stand in Antique Gold ~ SHOP here! Donuts? YES, please! Chandelier 3 Tiered Dessert Stand in Antique Gold ~ SHOP here! Dessert tables (and brides!) love our Chandelier 3 Tiered Dessert Stand in Antique Gold ~ SHOP here! Something Blue... always look so pretty on silver with chandelier accents! Chandelier 3 Tiered Dessert Stand in Antique Silver ~ SHOP here! Pretty Pink Macarons on Chandelier 3 Tiered Dessert Stand in Antique Silver ~ SHOP here! Mini desserts & fresh florals! Chandelier 3 Tiered Dessert Stand in White ~ SHOP here! Display cupcakes, mini desserts & cake pops and so much more! Party-Poppin' Personalized Mini Bottle Favors on Bling Two-Tiered Basket ~ SHOP here! Gold & Bling make a Unicorn Party sparkle! Gold Bling Two-Tiered Tray ~ SHOP here! 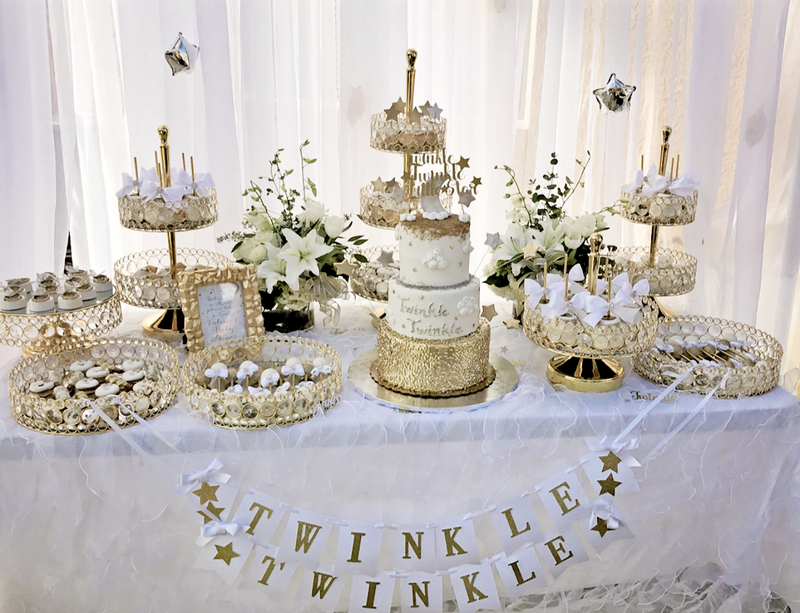 Twinkle, Twinkle, Little Star Dessert Table featuring Opulent Treasures Bling Dessert Stands and Trays ~ SHOP the collection here! Opulent Treasures is a trademarked brand offering entertaining pieces that all work together as a charming collection. Opulent Treasures décor adds elegance to any event or home. Our designs are multifunctional and versatile. Perfume bottles, cosmetics and jewelry make creative displays. Tiered dessert and cake stands add height and space to your table. Chandelier glass crystal accents add charm and opulence to any occasion or décor. Sturdy metal construction shows hand brushed antique finishes beautifully. All our serving pieces are food safe and simply clean with damp cloth. We hope our designs create memories for all your celebrations and add warmth and elegance to your home for many years! Opulent Treasures Featured on Wedding Chicks: Wedding Vendors You Need!